The Secret Affiliate Road-map, The Ultimate Pinterest Road-map and respective child programs are information products brought to you by Juleskalpauli Inc.. 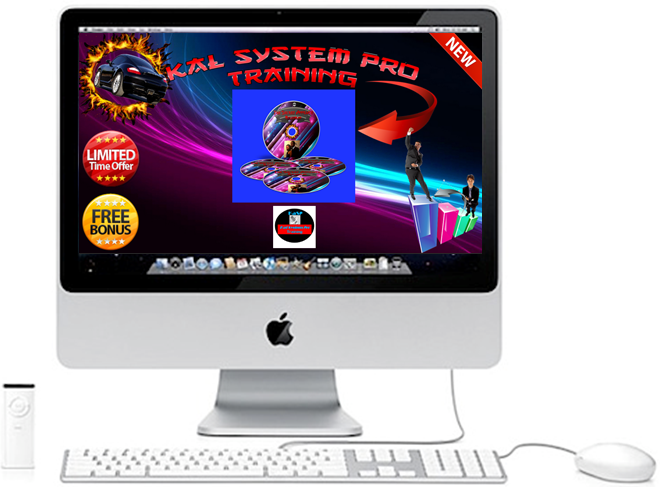 The information contained on this site and products is for education purposes only. This is information designed to help you understand the specific information covered. It is not an attempt to render tax, legal, or business advice. This is not a business opportunity. How you use the information is entirely up to you. While every effort has been made to accurately represent the information along with my opinions and insights, any claims made or examples given, although believed to be accurate, should not be relied on in any way in making a decision whether or not to purchase. This information is an account of what I have experienced. Any testimonials and/or examples used are exceptional results, in no way apply to the average purchaser and are not intended to represent or guarantee that anyone will achieve the same or similar results. The income or financial examples given are in no way meant as a representation of actual or possible earnings, nor are they meant as an inducement, promise, guarantee or prediction of income of any kind. No income claims, promises, predictions or guarantees are made of any kind. Any reference to specific income or dollar amounts that I or others may have earned are NOT done so to imply that you should expect to have, or will experience, similar success. I have no way of knowing how much money can or will make with this information (if you make any money at all). As a result, I’m not promising, predicting, implying or even hinting that you’ll make a single penny. Any reference to, or income examples from, my businesses and/or the examples of others are exceptional results, which do not apply to the average person and are not intended to represent or guarantee that anyone will achieve the same or similar results. The situation surrounding each example given is unique. Merely purchasing this information does not guarantee, imply, ensure, or otherwise suggest you will make money, nor does implementation of said information. Results generated in the examples come from 1) intimate and unique knowledge of your business, 2) a compelling call to action 3) a truly unique selling proposition, 4) implementation of applicable parts of the information provided, and 5) repeated trial and effort. If you are unwilling or unable to perform all of the above, do not purchase this product. Even if you perform all of the above, it is no guarantee of results of any kind. Every business or marketing venture involves some degree of risk and your success and/or failure will depend entirely upon your background, dedication, desire and motivation, as well as other factors both known and unknown, as well as factors beyond your control. As with any business endeavour, there is an inherent risk of loss of capital and there is no guarantee that you will earn any money. It’s up to you to decide what level of risk is appropriate for you. If you cannot afford, or will not use, this product, do not buy it. Please read all agreements, notices and disclaimers before purchasing anything from anyone anytime. This website is provided “as is” without any representations or warranties, express or implied. Rccace.com, it’s Child Programs, it’s Founder, or affiliate partners make no representations or warranties in relation to this website or the information and materials provided on this website. These limitations of liability apply even if Juleskalpauli Inc., it’s founder or affiliates has been expressly advised of the potential loss. matter which it would be illegal or unlawful for Juleskalpauli Inc. to exclude or limit, or to attempt or purport to exclude or limit, its liability. You accept that, as a limited liability entity, Juleskalpauli Inc. has an interest in limiting the personal liability of its officers and employees. You agree that you will not bring any claim personally against Juleskalpauli Inc. officers or employees in respect of any losses you suffer in connection with the website. [Without prejudice to the foregoing paragraph,] you agree that the limitations of warranties and liability set out in this website disclaimer will protect Juleskalpauli Inc. officers, employees, agents, subsidiaries, successors, assigns and sub-contractors as well as the Owner. We collect information from you when you register on our site, place an order, subscribe to our newsletter, respond to a survey, fill out a form or become an affiliate partner. As part of the UK Online Privacy Protection Act, all users of our site may make any changes to their information at any time by logging into their control panel and going to the ‘Edit Profile’ page. If you would like to be an affiliate for any of our products there are two ways you can do so. Number one, purchase the product you would like to be an affiliate partner of and be eligible to re-sell. Doing so will instantly and automatically update our system and will grant you affiliate re-seller rights to that product. Second way is to apply to be an affiliate by emailing support. Manual approval will take a minimum of 4-6 weeks and approval is not guaranteed and based on several factors. If approved your first 1-3 sales on the product you wish to be a reseller for will be considered a non-commission-able, depending on which product you are wishing to be an affiliate for. Please also visit our Terms and Conditions section establishing the use, disclaimers, and limitations of liability governing the use of our website at https://rccace.com/terms-of-service/. Juleskalpauli Inc. products, courses, and programs have different refund policies please see the programs below and how the refund policy applies for each product. We offer a conditional “100% money back satisfaction guarantee” within 14 days. Meaning, if AFTER going through and completing 100% of modules in The Secret Affiliate Roadmap, you’re not satisfied with the content and you don’t believe that the tips, tricks, tactics and techniques inside this course, if applied have the potential to make you more in commissions over the course of your career then the money you invested in the course then simply send an email to support@juleskalpauli.com and explain to us why you are unsatisfied with our products and why you didn’t think it was worth the money you invested. Please note that we do not have a “No questions asked money back guarantee” nor we do not have a “I bought your course and don’t have a problem with it, but my money is tight and I now I need the money for something else guarantee”. Our refund policy was designed to give assurance to our students that we back up the value of our products and training. We want to protect the integrity of our community, protect our affiliates, be able to pay them quickly, and avoid them from losing rightfully and ethically earned commissions on our products because some people choose to ask for refunds for reasons that have nothing to do with the quality and value of our products and courses. Our refund policy was not created so that people could take advantage of an integrity based honour system by buying our courses and then asking for refunds afterwards because although they had no issues with our course’s content and the value received for the dollars they invested, they simply are asking for a refund so they can get their money back to spend it on something else. We do not operate that kind of refund policy and we do retain the right to ask questions about any and all refund requests and we reserve the right to approve or deny them on a case by case basis. Also no affiliate will be granted a refund if they have received or earned affiliate commissions from the product they are wishing to get a refund on. Example: You can’t buy The Secret Affiliate Roadmap, promote it, earn commissions from it, and then ask for a refund. This product has similar conditions as above. A conditional 100% money back guarantee in form of a 14 day cooling off period. After which it is our belief that a normal user would have gone through our content. Meaning, if AFTER going through and completing 100% of modules in The Ultimate Pinterest Roadmap, you’re not satisfied with the content and you don’t believe that the tips, tricks, tactics and techniques inside this course, if applied have the potential to make you more in commissions over the course of your career than the money you invested in the course then simply send an email to support@juleskalpauli.com and explain to us why you are unsatisfied with our products and why you didn’t think it was worth the money you invested. Please note that we do not have a “No questions asked money back guarantee” nor we do not have a “I bought your course and don’t have a problem with it, but my money is tight and I now I need the money for something else guarantee.” Our refund policy was designed to give assurance to our students that we back up the value of our products and trainings. We want to protect the integrity of our community, protect our affiliates, be able to pay them quickly, and avoid them from losing rightfully and ethically earned commissions on our products because some people choose to ask for refunds for reasons that have nothing to do with the quality and value of our products and courses. We do not operate a No Questions Asked kind of refund policy and we do retain the right to ask questions about any and all refund requests and we reserve the right to approve or deny them on a case by case basis. Also no affiliate will be granted a refund if they have received or earned affiliate commissions from the product they are wishing to get a refund on. Example: You can’t buy The Ultimate Pinterest Roadmap, promote it, earn commissions from it, and then ask for a refund. We believe in our product 100% in its ability to help one grow their Pinterest Assets. However, your payments made are non-refundable after the 14 days from date of purchase. This is a service rather than a product where time and resources are allocated. To cancel your order please ensure you are within the 14 days cooling off period. Please send an email to support to process. This is a service that we have to pay-out hourly rates on when working on your Website/Blog and Brand so based on our outgoing costs once an order is made we can’t honour refunds. However, we promise to complete the job ordered to your complete 100% satisfaction. This agreement is in effect as of October 1, 2014. Iiii. Impersonates any person or entity, including any Ultimate Branding Blueprint employees or representatives. You agree to indemnify and hold harmless Juleskalpauli Inc. and its parent company and affiliates, and their directors, officers, managers, employees, donors, agents, and licensors, from and against all losses, expenses, damages and costs, including reasonable attorneys’ fees, resulting from any violation of this User Agreement or the failure to fulfil any obligations relating to your account incurred by you or any other person using your account. We reserve the right to take over the exclusive defence of any claim for which we are entitled to indemnification under this User Agreement. In such event, you shall provide us with such cooperation as is reasonably requested by us. vi) no information or advice, whether expressed, implied, oral or written, obtained by you from Juleskalpauli Inc. or through any Resources we provide shall create any warranty, guarantee, or conditions of any kind, except for those expressly outlined in this User Agreement. In conjunction with the Limitation of Warranties as explained above, you expressly understand and agree that any claim against us shall be limited to the amount you paid, if any, for use of products and/or services. Juleskalpauli Inc. will not be liable for any direct, indirect, incidental, consequential or exemplary loss or damages which may be incurred by you as a result of using our Resources, or as a result of any changes, data loss or corruption, cancellation, loss of access, or downtime to the full extent that applicable limitation of liability laws apply. All content and materials available on https://rccace.com, including but not limited to text, graphics, website name, code, images and logos are the intellectual property of Juleskalpauli Inc., and are protected by applicable copyright and trademark law. Any inappropriate use, including but not limited to the reproduction, distribution, display or transmission of any content on this site is strictly prohibited, unless specifically authorized by Juleskalpauli Inc. This website is controlled by Juleskalpauli Inc. It can be accessed by most countries around the world. By accessing our website, you agree that the statutes and laws of our state, without regard to the conflict of laws and the United Nations Convention on the International Sales of Goods, will apply to all matters relating to the use of this website and the purchase of any products or services through this site. UNLESS OTHERWISE EXPRESSED, Juleskalpauli Inc. EXPRESSLY DISCLAIMS ALL WARRANTIES AND CONDITIONS OF ANY KIND, WHETHER EXPRESS OR IMPLIED, INCLUDING, BUT NOT LIMITED TO THE IMPLIED WARRANTIES AND CONDITIONS OF MERCHANTABILITY, FITNESS FOR A PARTICULAR PURPOSE AND NON-INFRINGEMENT.